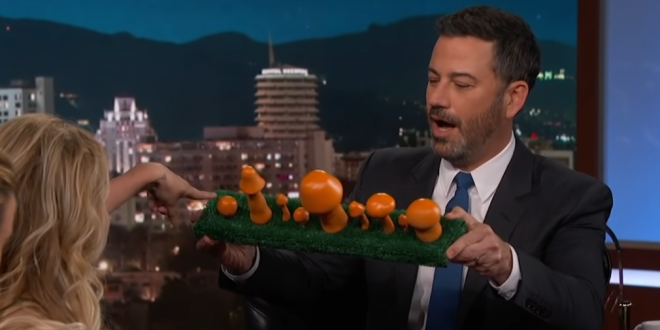 Stormy Selects The Most Accurate Trump Mushroom - Joe.My.God. Of the detail that Daniels spanked Trump with a magazine, Kimmel asked “What does he do, when you spank Donald Trump?” to which Daniels responded, “Do you want me to show you?” Kimmel eventually conceded and Daniels used her book to spank him. “I laid there and prayed for death,” Daniels said of her experience with Trump.